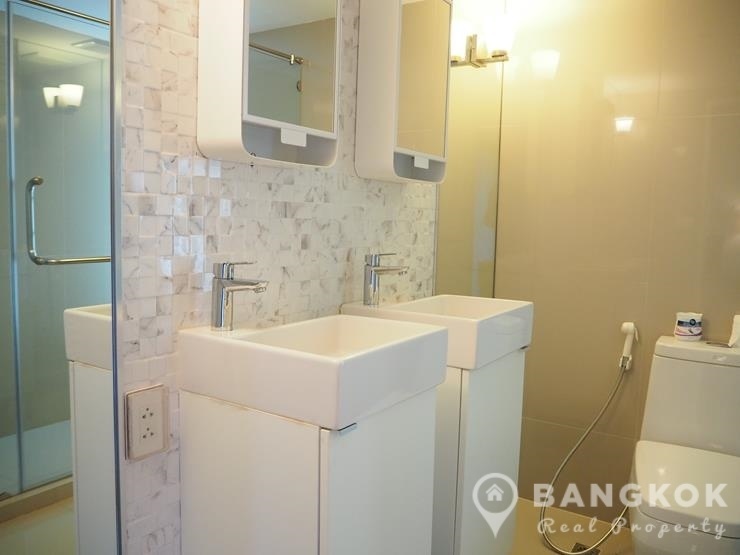 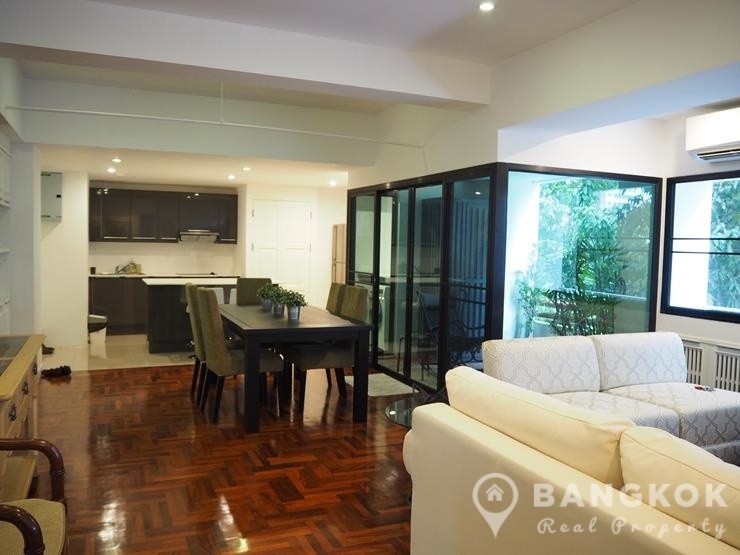 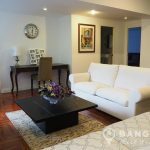 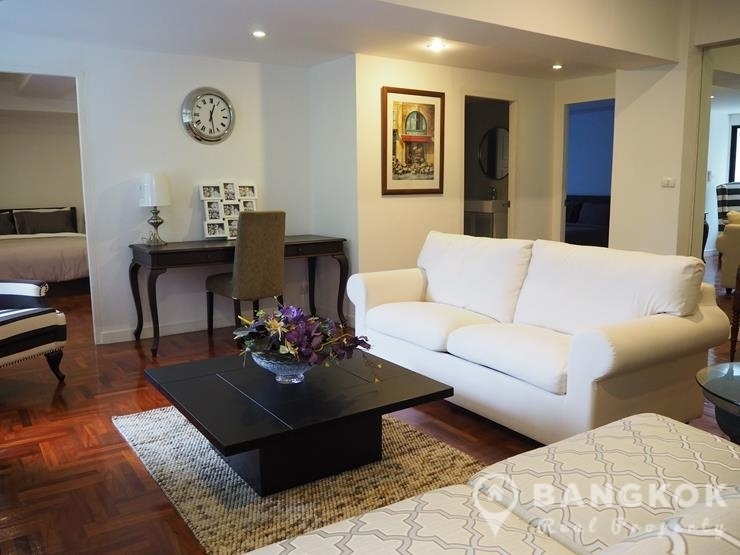 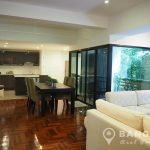 A stunning, newly renovated, bright 2 bedroom condo is now available to rent at La Maison Ruamrudee centrally located just off Soi Ruam Rudee, just 9 minutes walk from Phloen Chit BTS station. 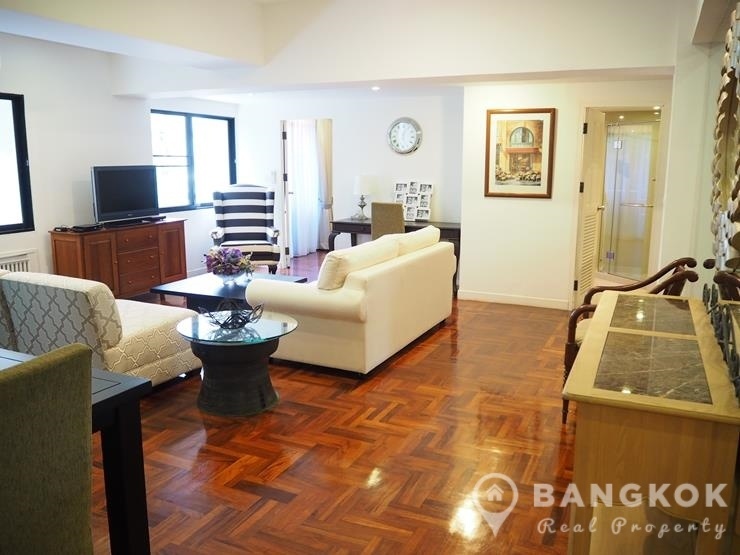 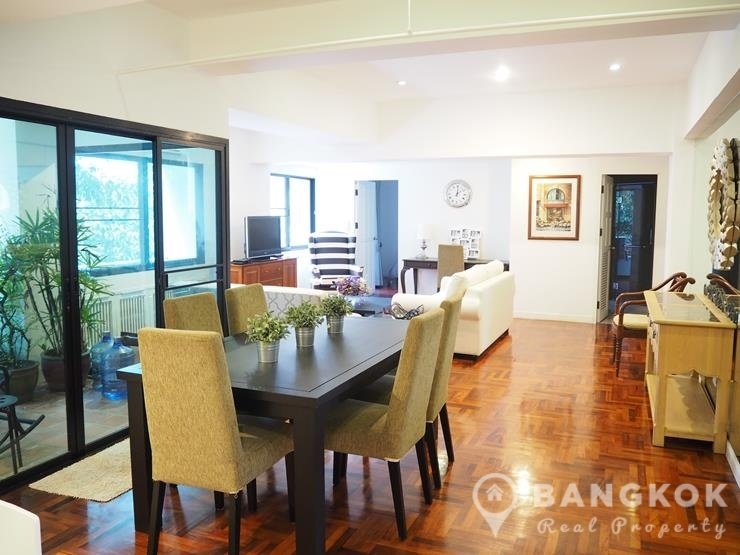 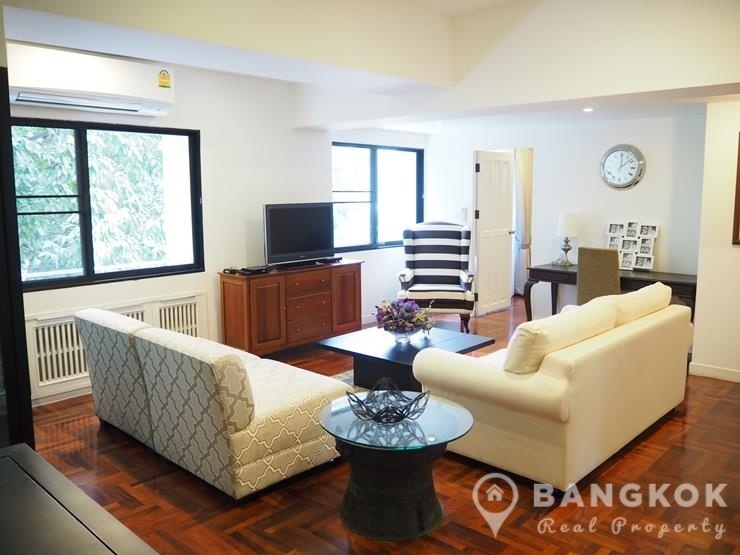 The development is a mid rise condo with 14 floors built in 1991 and is located within easy reach of many local amenities including Central Chidlom, Central Embassy, Tops @ All Season Place, The Conrad Hotel, Villa Market, Bumrungrad International Hospital and Royal Bangkok Sport Club Golf Course. 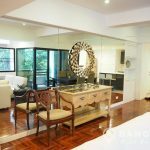 Situated on a mid floor of La Maison Ruamrudee this 2 bedroom, 2 bathroom unit has 120 sq.m of living space with a large terrace balcony. 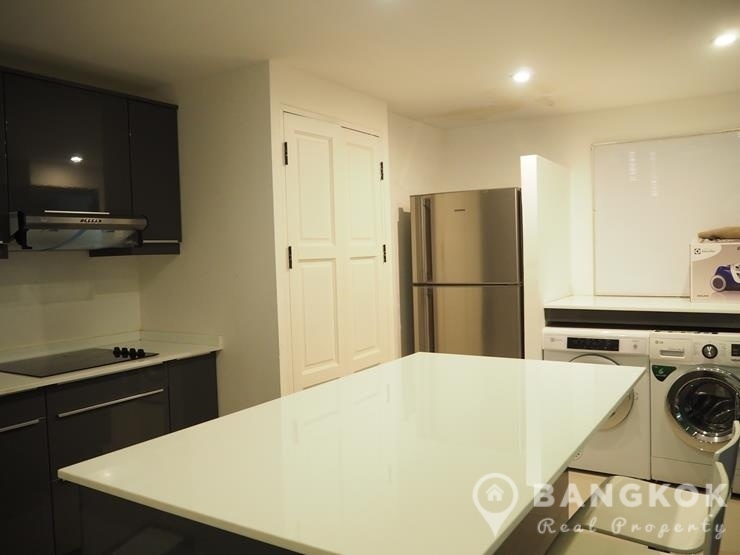 The unit has just been extensively renovated and refurbished through with wooden hardwood floor, new air conditioners and new bathroom suites. 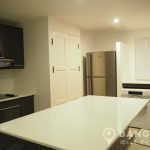 The open plan livingroom – kitchen is a bright room, the kitchen has extensive new fitted kitchen units, built in electric ceramic hob, extractor fan, electric oven, fridge-freezer and separate washing and dryer machines. 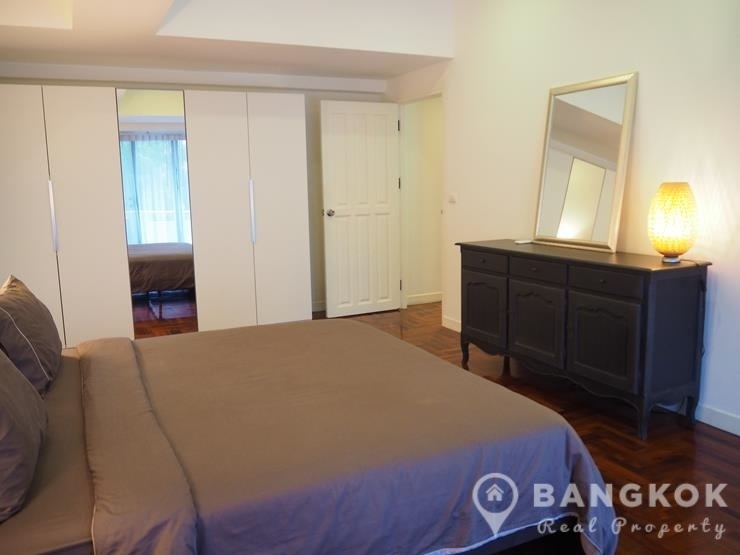 Both double bedrooms are ensuite, both with extensive storage space and small balconies. 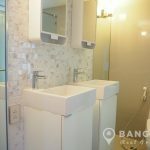 Residents at La Maison Ruamrudee enjoy excellent on site management, private swimming pool with sunbathing deck, covered parking with 24 hour security. 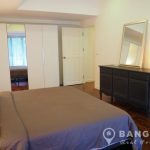 La Maison Ruamrudee is a condominium project, located just off Soi Ruam Rudee within walking distance of Phloen Chit BTS station. 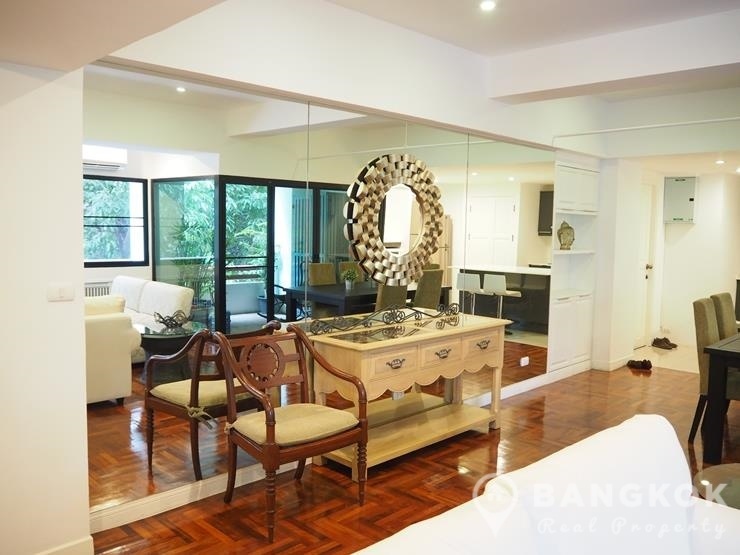 Construction of La Maison Ruamrudee was completed in 1991 and this mid-rise project consists of a single building with 14 floors with a total of 30 units, a mix 2, 3 and 4 bedroom units.